Dr Melanie Quick has ridden horses for over 40 years. She has been lucky enough to have two Olympic riding trainers – 6 years of training in the early years in Dressage and Jumping with Ms Ruth Emery, and 23 years of Dressage training with Mr Warrick Cozens. 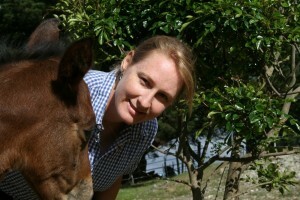 As a consequence of being a talented natural rider she has had 30 years experience as a horse trainer and breaker, focussing particularly on re-educating horses with behavioural problems and is currently enjoying retraining racehorses on the track with behavioural issues which prohibit them from racing successfully. Melanie has been a competitor in over 16 Multiple State Eventing and Dressage Championships, both winning and placing numerous times. She has also trained and ridden multiple horses to Grand Prix level dressage. In 1998 Dr Quick moved back to Melbourne to work as a Racehorse vet with Flemington Equine Clinic working for the talented surgeon and lameness veterinarian Dr John van Veenendaal at the world famous Flemington Racecourse (home of the Melbourne Cup). It was here she was responsible for the treatment of lameness and health maintenance for Australia’s top racehorses. For 18 years one of Melanie’s many talents has been her ability to shoe and trim horses with beautiful precision. During this time she has been devoted to attending almost all of the hoof, lameness, farriery and spinal workshops and conferences run in Australia by the world’s leading experts in the field. Since 2004, Dr Quick has been running her own business working on sporthorses and racehorses with lameness, chiropractic, foot and behavioural issues. During this time, Melanie has also been researching foot problems in horses and can produce profound results for laminitis and navicular syndrome horses. This research has involved travelling all over Australia studying feet on domestic horses living in various conditions with a variety of management techniques. She has travelled into outback Australia several times to examine the gait and hooves of wild brumbies living and travelling over all types of terrain. Since 2004, Dr Quick has reviewed approximately 12,000 (48,000 feet) horses from a gait and hoof perspective. Melanie mentors and reviews the results (from a soundness perspective) of the work of over a dozen trimmers who trim a total of around 1,200+ horses a month, and also reviews the soundness results of the work of half a dozen local farriers. As a direct consequence of being a lameness veterinarian, combined with her hoof research, Dr Quick has been able to work out the reasons behind challenges people have with barefooted horses, and naturally, the reason so many performance horses end up either lame or performing poorly when shod or barefoot. Dr Quick has assisted owners struggling with refractory hoof related lameness for horses in England, Ireland, France and all over Australia. She has lectured for RMIT University, teaching hoof function for the Animal Chiropractic course and was involved in the panel discussion between Professor Robert Bowker and Professor Chris Pollitt at the Australian Functional Hoof Conference in 2011. Currently Dr Quick is working on perfecting the hoof care method to allow racehorses to train barefoot. So far, after nearly a decade and over a dozen horses, the results in improving soundness are outstanding. She hopes to bring these methods to the racing industries as soon as possible. Dr Quick is also on a mission to teach the Sporthorse industry worldwide how to maximise hoof function and hence soundness during training and competition. Her Performance Hoof Care Clinics have been highly successful with participants ranging from the beginner to the professional trimmer or veterinarian. Attendees have been extremely pleased with the knowledge and skills gained from the workshops. Fellow veterinary colleagues have been astonished at the results achieved with Dr Quick’s methods. 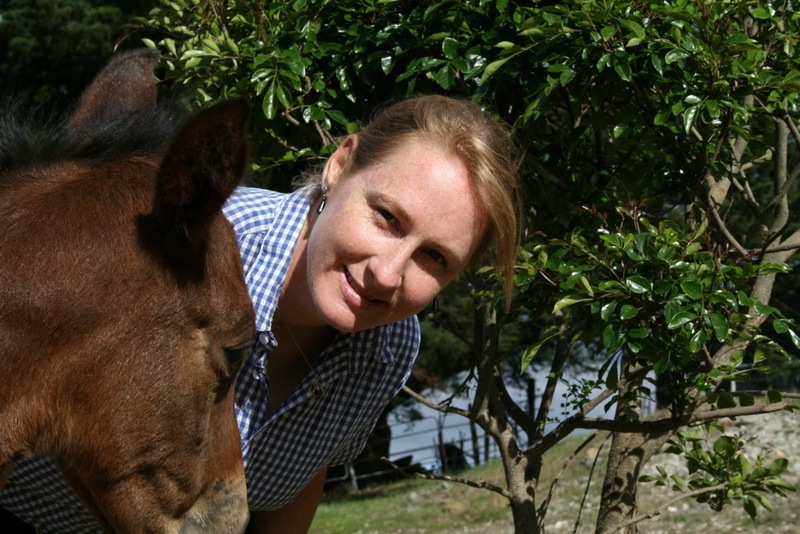 At this stage in her career, due to Dr Quick’s unique depth of experience in so many areas relating specifically to performance, she is able to assess, diagnose and treat a horse for problems relating to lameness, spinal or musculoskeletal pain, hooves, saddle fit and behavioural anomalies to achieve long lasting and satisfying results. The quality of results achieved with her methods compared to traditional therapies, continue to surprise her on a daily basis. There is absolutely no doubt in my mind that unless I had such cursed ambitions to ride and train at the elite level on my own horses, I would never have come close to discovering the techniques to helping a horse maximise his comfort and performance. This combined with a massive and permanent dose of scepticism in my personality, has forced me to constantly be enquiring about the validity of methods which provide unsatisfactory results. Simply collecting four university degrees based around enhancing the horses total wellbeing has taught me a lot, but when combined with my prior and current riding knowledge it has allowed me to delve to great depths when solving the more difficult cases for my clients. There is no way I could understand and have managed many of the issues horses suffer during their working careers if I had not had to battle them in my own horses. My Dressage knowledge and my years working at Flemington Racecourse as a lameness veterinarian has greatly assisted me in detecting the subtle nuances in a horses gait when he is becoming sore in one to four legs. This experience has been crucial to help solve the issues people struggle with in the barefoot performance horse field. Not a month goes by when I don’t discover something new about how to improve a client’s horse whilst riding my own. For example, owning an odd shaped warm blood has shown me how determined you need to be to solve saddle fit problems in some horses. My horses may drive me batty (by making life difficult and complicated as only a horse can do), but they certainly are helping change the world for the rest of the horses who are struggling with pain and communication problems. The one greatest thing I have learnt is, that the more I know the less I know (yes that freaks me out too), assumptions are the mother of all evil in the horse industry. Nothing beats thorough and methodical checking of all areas of the horse.